The U.S. Consumer Product Safety Commission (CPSC) has ordered recall of Darth Vader and Disneyland 60th infant bodysuits marketed by Walt Disney Parks and Resorts. According to a CPSC press release, the bodysuits pose a hazard as the snaps on the bodysuits can detach, posing a choking hazard to young children. This recall, which involves around 10,000 units and have been manufactured in Guatemala, involves two styles of infant one-piece bodysuits with a three snap button closure. 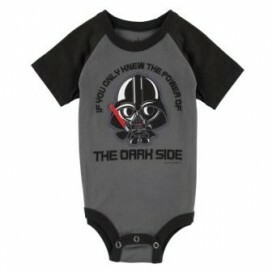 The Darth Vader Infant bodysuits have a gray body with black sleeves and trim and the artwork on the front of the bodysuit shows an infant Darth Vader holding a light saber. While, the Disneyland 60th Infant bodysuits have a light blue body with royal blue sleeves and trim and the artwork on the front of the bodysuit includes Mickey Mouse, Goofy, Donald Duck and Pluto in front of the Disneyland Castle. CPSC added that although no incidents or injuries have been reported, it advised consumers to immediately stop using the recalled infant bodysuits and contact Walt Disney Parks for a full refund. These products were sold at Walt Disney World Resort in Florida, Disneyland Resort in California, the Treasure Ketch Shop on the Disney Wonder and Mickey's Mainsail located on the Disney Magic, Disney Dream and Disney Fantasy cruise ships. CPSC is charged with protecting the public from unreasonable risks of injury or death associated with the use of thousands of types of consumer products under the agency's jurisdiction. “Deaths, injuries, and property damage from consumer product incidents cost the nation more than $1 trillion annually,” CPSC informed.